Harlem, reminder tomorrow November 30 is Small Business Saturday | HarlemGal Inc.
Don’t forget Harlem! Tomorrow is Small Business Saturday! Whether it’s the café or dining establishment with your delicious drink or dish or the flower store that has your favorite rose, we all have a small business we love and support. 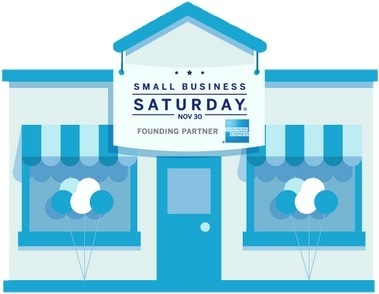 Small Business Saturday® on November 30th is the day dedicated to celebrating the local businesses we love! Together, we can make Small Business Saturday a huge day for our local Harlem businesses. So let’s get out tomorrow and show our support! Have a great weekend. This entry was posted in Harlem. Bookmark the permalink.